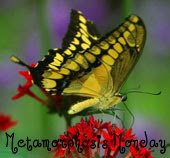 Today I’m participating in Metamorphosis Monday over at Between Naps on the Porch. 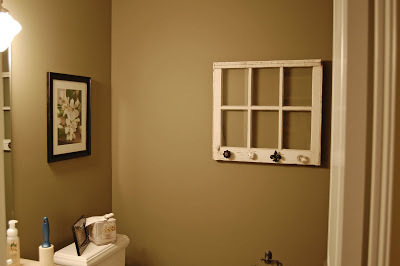 Go to her blog to see some great before and after projects! My mom was just out here visiting from California. Whenever she is in town we always manage to come up with fun projects to work on. 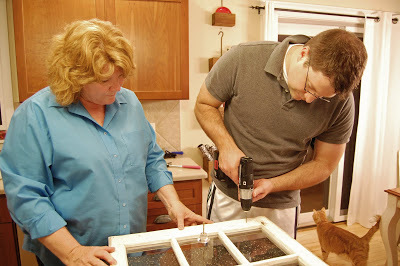 And, since my mom is creative and extremely handy, I like to take advantage of her skills as much as possible…so I am always on the hunt for something for us to do! One day while we were out shopping I spotted this old window and immediately knew we could make something cute out of it, so I snatched it up for just a few dollars. Then, we found some adorable mis-matched knobs at Hobby Lobby for half price! My mom is so jealous that she doesn’t have a HL by her! 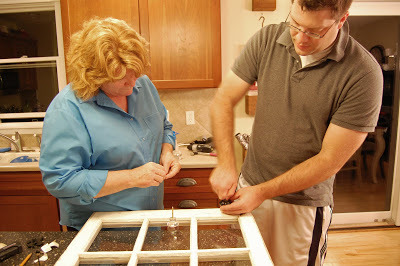 Once we got our supplies we recruited the husband to help us out…since he is handy with the drill and all. 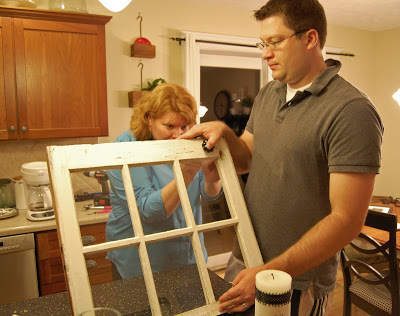 He drilled four holes for the knobs….all the while saying “you want to do what with this old window?” It sure helps to have a husband who is a good sport about these things. Then we (well, my mom and my husband…someone has to take the photos right?) screwed the knobs in. Not all of them were long enough to reach through to the other side, so they had to get creative by drilling a larger hole in the back so the screw could reach….I know that totally didn’t make sense…but it worked! Then they attached some hooks on the back so we could hang it on the wall! And there is it! I love how it turned out! 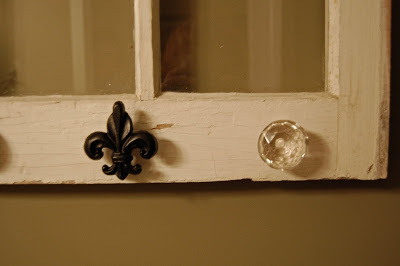 A close up on the knobs….my mom now wants to do something similar in her house! It goes great in our downstairs bathroom! Thanks for stopping by! That looks great! 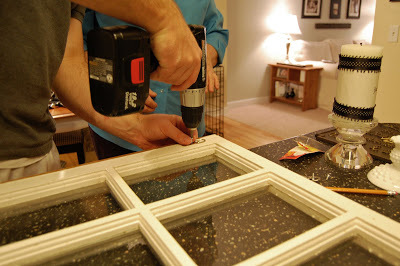 I've never seen that done with an old window and I love it! So creative! I love that! Love the project! The knobs are so wonderful. 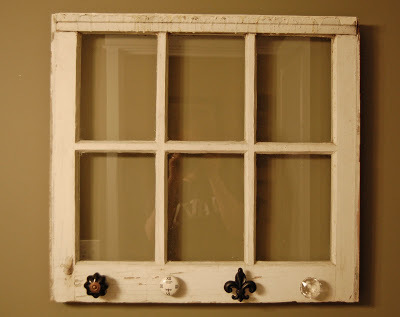 I LOVE the window and the mismatched knobs give it even more character! A tassel would look cute hanging from one of the knobs on your window! I love the look of old windows!! Great job! LOVING the old window! Great job. Love the window! I'm so impressed that my son is such a handyman. I know you and your Mom are the envy of "Martha Stewart" with your craft and decorating ideas. Please come and work your MAGIC at my house. Hi to Bev. I'm glad you had a good visit with our kids. I'm jealous too, I don't have a Hobby Lobby near me ! What a simple project that turned out beautifully! 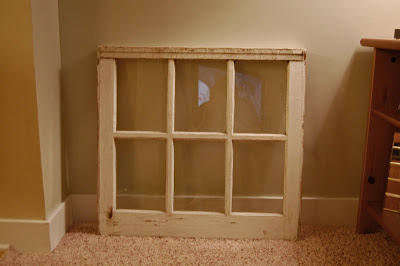 I love old windows and this is a great idea for one. This is so cute! I'd consider a mirror behind it at some point instead of the glass. Ohh, I like! Very nice and great idea!